In 1782, George IV’s father, George III (1738–1820) sent an Embassy to China to negotiate a treaty of commerce and friendship with the Qianlong Emperor (1711–99). The Emperor sent many gifts to George III to demonstrate the best of local material and manufacture. Many of these objects may have influenced George IV in his furnishing projects at Carlton House and the Royal Pavilion in Brighton. 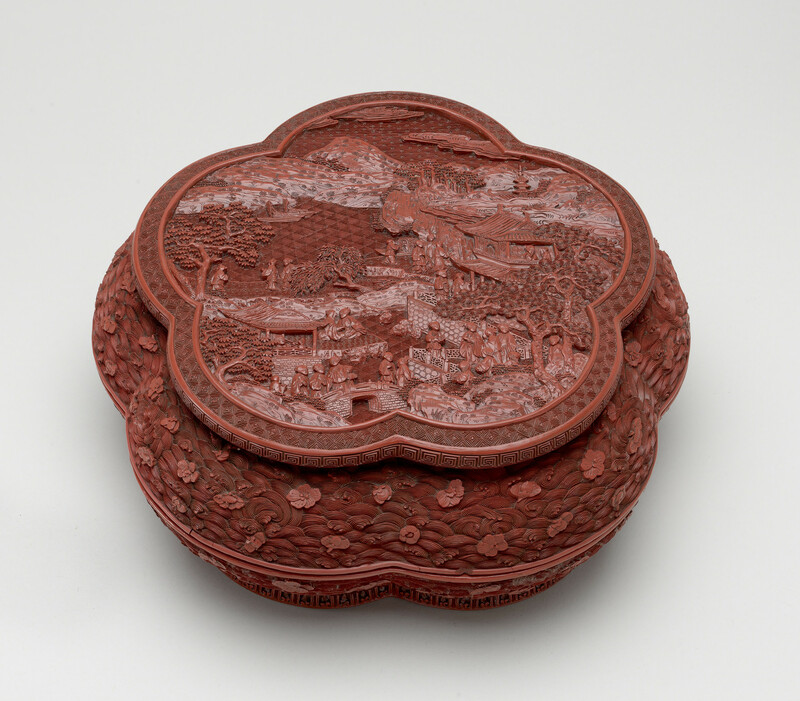 This red lacquer box was one of the gifts presented to George III by the Qianlong Emperor. Inside the cover is the inscription, ‘Delight in wandering at leisure’ – an appropriate message for an item chosen by George IV for the Royal Pavilion. In 1848, the box was sent from the Royal Pavilion to Kensington Palace.